This collection of essays by Peter Gidal includes “Theory and Definition of Structural/Materialist Film” and other texts on metaphor, narrative, and against sexual representation. Also discussed in their specificity are works by Samuel Beckett, Thérèse Oulton, Gerhard Richter and Andy Warhol. Throughout, Gidal’s writing attempts a political aesthetics, polemical as well as theoretical. 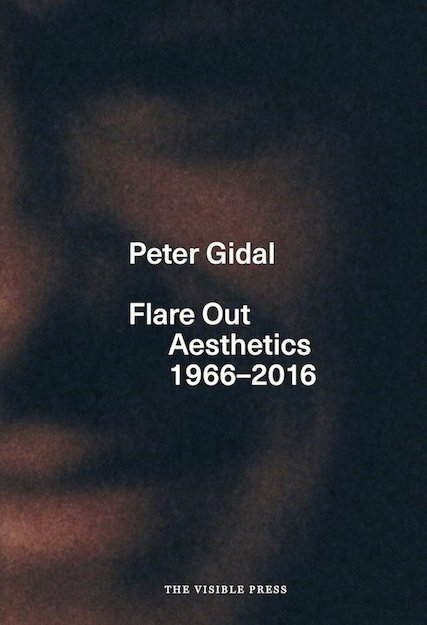 One of the foremost experimental film-makers in Britain since the late 1960s, Peter Gidal was a central figure at the London Film-Makers’ Co-operative, and taught advanced film theory at the Royal College of Art. His previous books include Andy Warhol: Films and Paintings (1971), Understanding Beckett (1986) and Materialist Film (1989). The Visible Press is a new imprint for books on cinema, and writings by filmmakers and artists. The press is managed by Mark Webber, María Palacios Cruz and William Rose. Following the publication of Film as Film: The Collected Writings of Gregory J. Markopoulos, the second book from The Visible Press will be an anthology of writings by American filmmaker Ken Jacobs.